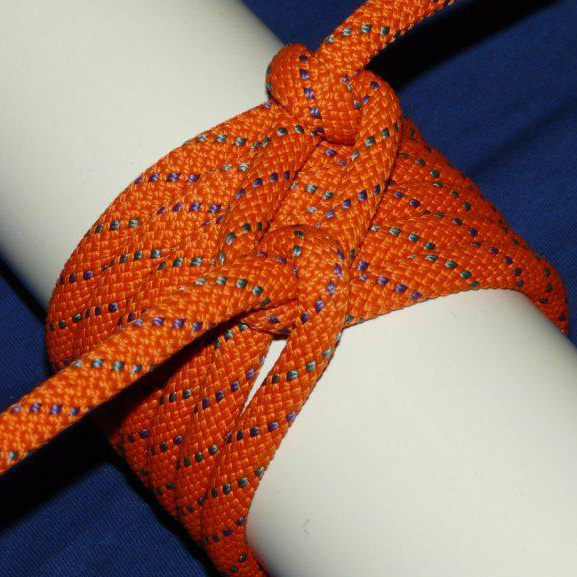 This is a practical application of the ‘Tackleclamp‘ gripping hitch – a knot presented on the IGKT forums in March 2012 by forum member Xarax. The original Tackleclamp gripping hitch from Xarax’s IGKT post. The tackleclamp appears to have exceptionally good gripping power, making it ideal for use around very smooth and uniform shapes like a marker pen. 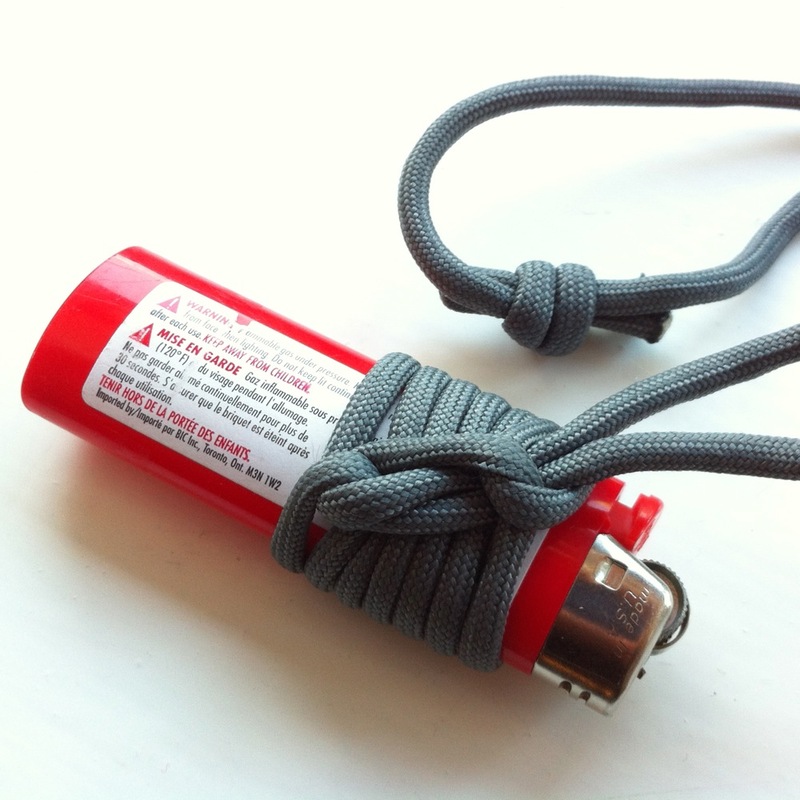 I have tried this lanyard idea before with other binding knots and hitches, but none have griped tightly enough around the lighter to be reliably secure. 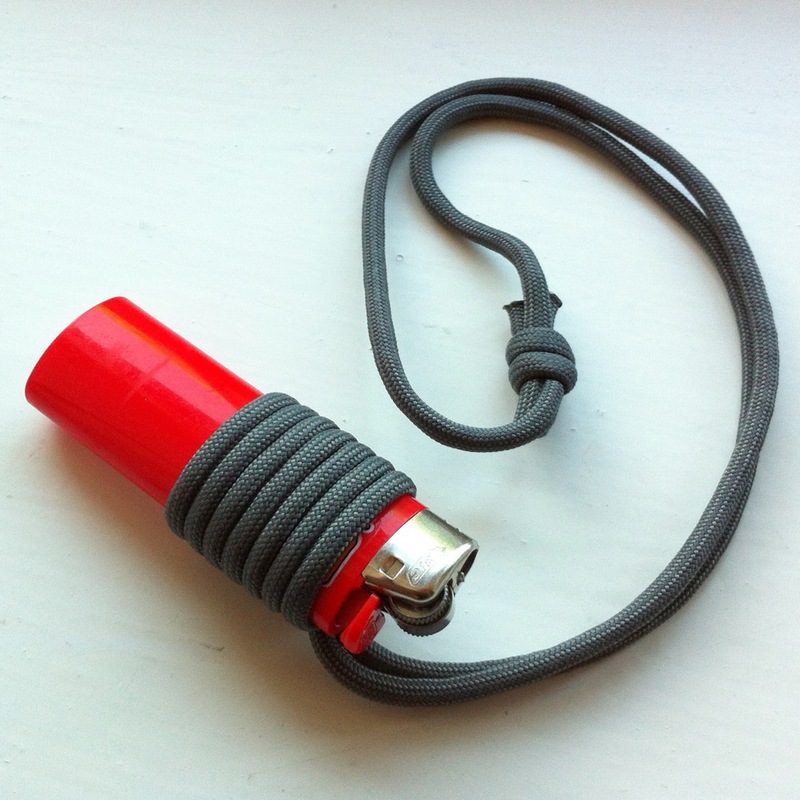 The Tackelclamp used to create a simple and neat neck lanyard on a Bic lighter with 550 paracord. Complete lanyard with breakaway hitch. The modified Tackleclamp, with one of the working ends redirected so both working ends exit the knot in parallel. 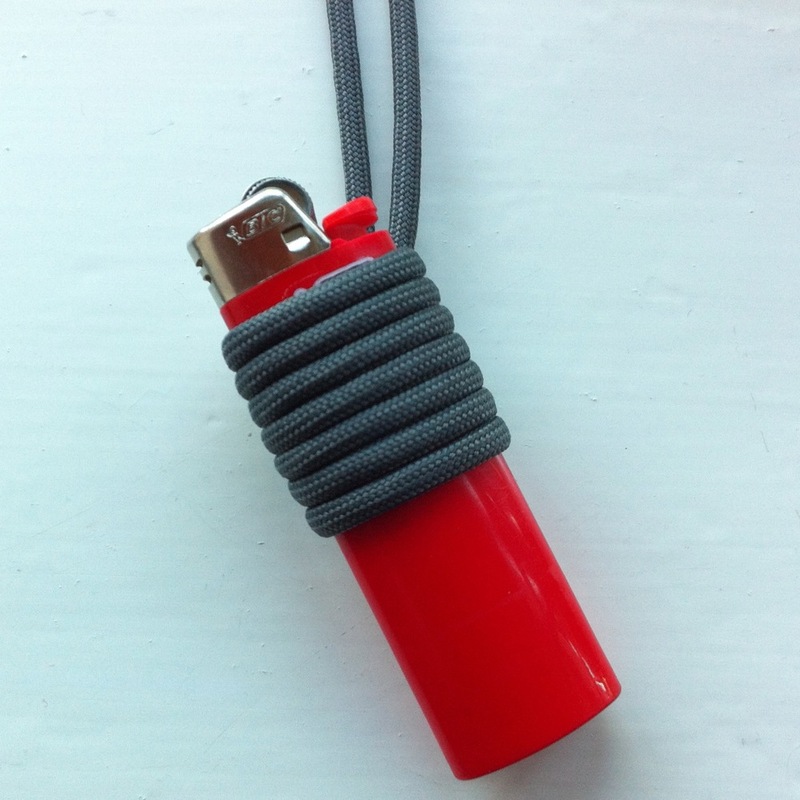 The complete lanyard also includes a very simple ‘breakaway’ knot, which will release (for safety) under excessive tension. 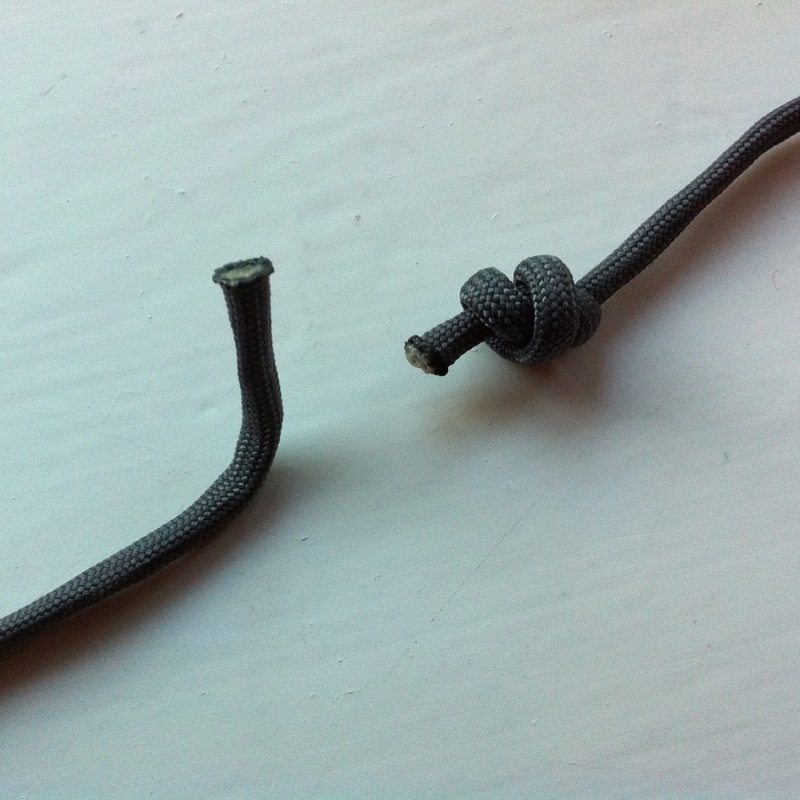 It could of course use any standard joining knot or a mechanical cordlock. 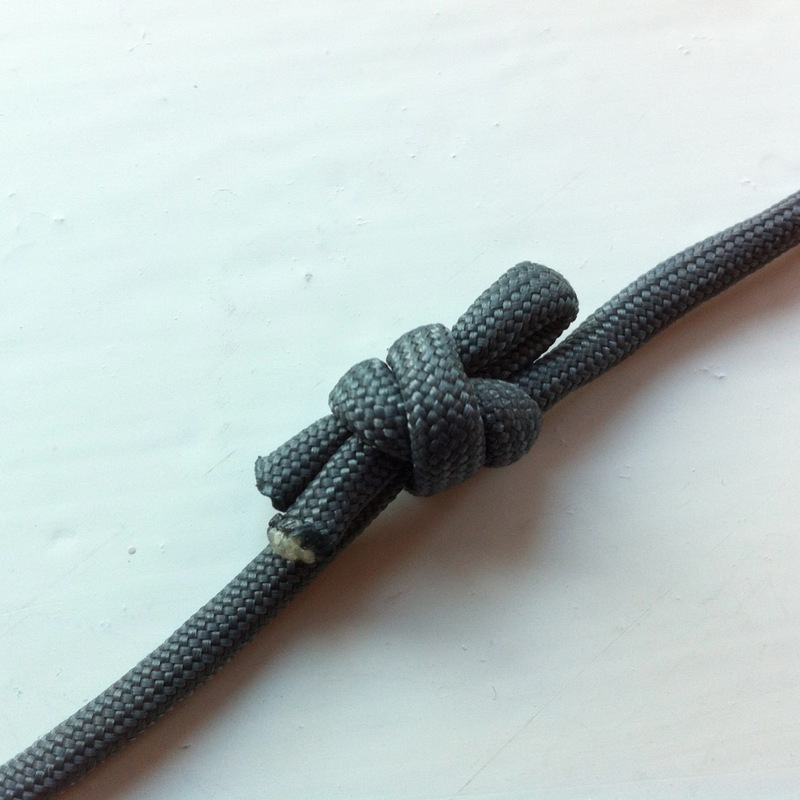 The ‘breakaway’ is created using a single fisherman’s knot, which ‘bites’ a bight in the other end. 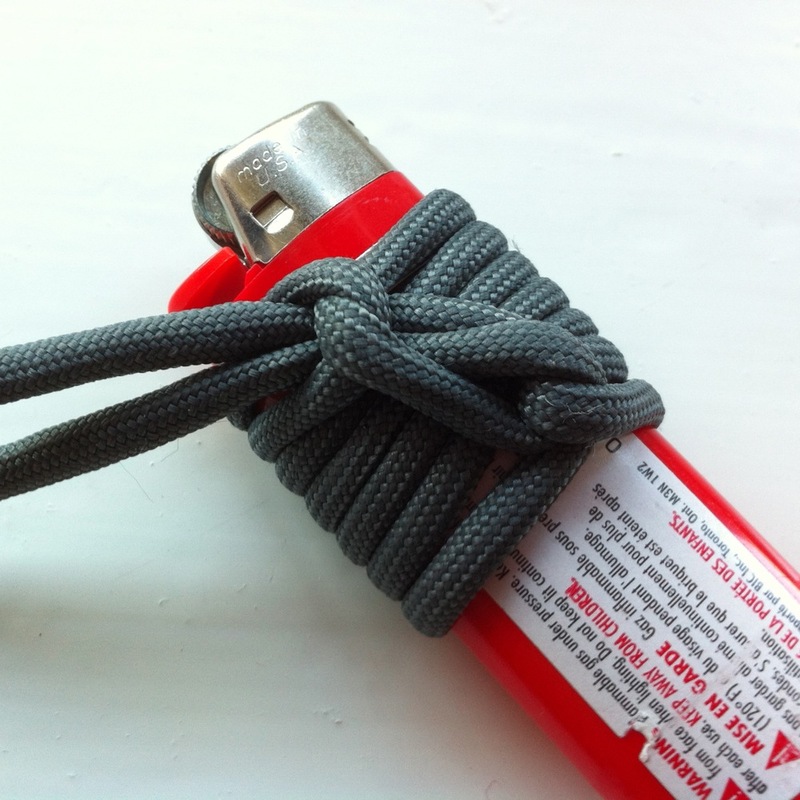 Under excessive tension, the bight simply pulls out of the fisherman’s knot.